If your company has a unique colour scheme then purchasing printed umbrellas can be an expensive business. Pantone matched canopies require fabric to be dyed to your exact specification. So unless you are looking to order 1000+ umbrellas this can be a costly process. Due to minimum quantity fabric dying, this is not even a possibility if low unit numbers are needed. So Are There Any Other Options To Get a Pantoned Matched Canopies for Branded Umbrellas? Yes there is! Digital printing can provide a true to colour canopy of any pantone reference. 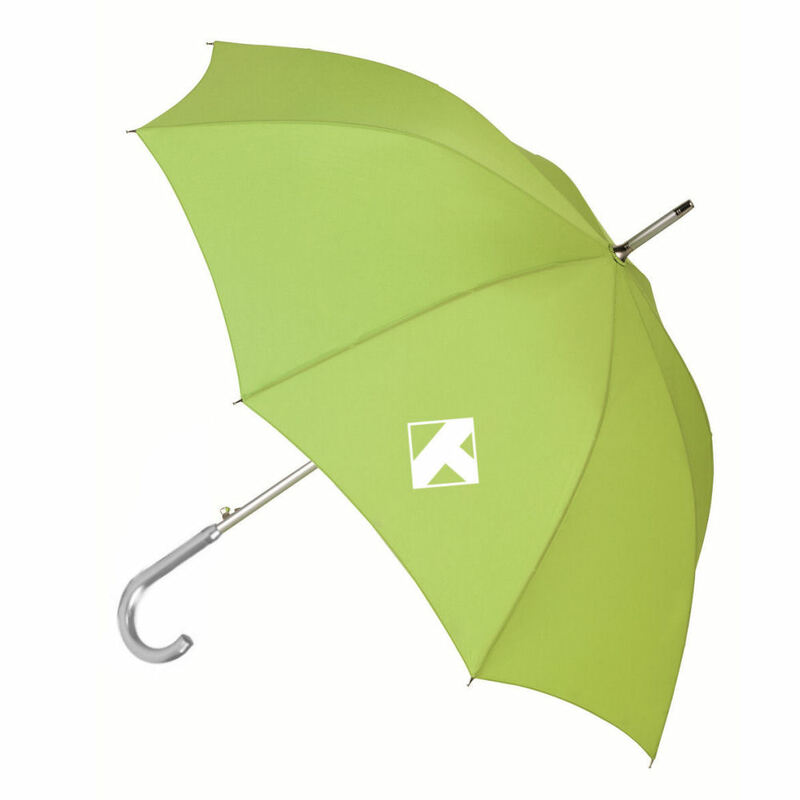 This is a simple and quick way to ensure that your printed umbrellas are accurate colour-wise to your branding. How Does the Digital Printed Umbrellas Process Work? We individually print each panel of your umbrella. The entire white polyester pongee (the same fabric type that we use for all of our promotional umbrellas) panel is printed to the specified canopy colour. This includes any other logos, text or branding that are to be on the panels. This means that essentially, we are printing the whole entire panel. By providing us with a pantone reference we can use this to print accurately any colour in the Pantone Book (we use the Formula Guide Coated system). The final panel print is both solid and true to colour. The best thing about this method is that is it far cheaper than dying fabric which involves a lengthy process, at a separate factory specialising in dying. This adds a significant cost to your printed umbrellas order as well as extra time. Is There Anything Else I Should Know About Digitally Printed Pantone Matched Canopies? Yes. As the canopy starts off as a white, the interior of the canopy (the inside of the umbrella) will be a slightly lighter colour to the exterior. This is because we can only print one side of the fabric which becomes the exterior of the canopy. Don’t worry, the interior of the canopy does not look white! It looks very close to the colour of the exterior of the umbrella, just not the exact same colour match. When the light shines through the canopy, it adopts the printed colour of the exterior but appears slightly lighter. How Much Do Digitally Printed Umbrellas Cost? This really depends on the quantity of the branded umbrellas ordered. 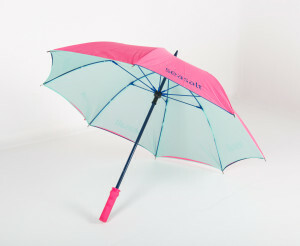 To digitally print a pantone matched canopy costs around an additional £2 per branded umbrella. Why not browse our range of promotional umbrellas to see if there is a model or umbrella type that suits your user requirements? We brand and customise over 30 different umbrellas completely to your specifications. Brollies & Parasols provide a full range of canopy printing options and branding to all of our umbrellas. This includes pantone matched canopies utilising digital printing. We have a minimum order quantity of just 25 units and can produce and deliver your bespoke branded umbrellas from as little as 5 weeks (with Express Shipping). ← Does Size Matter for Promotional Umbrellas?